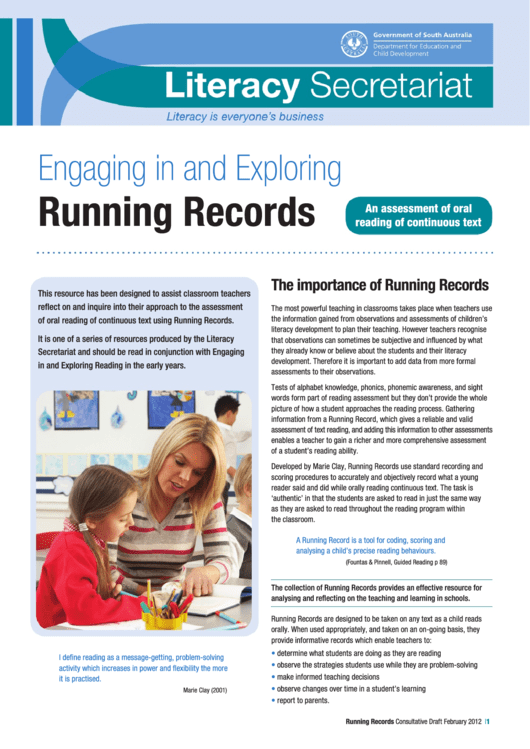 of oral reading of continuous text using Running Records. in and Exploring Reading in the early years. of a student’s reading ability. analysing a child’s precise reading behaviours. analysing and reflecting on the teaching and learning in schools.